Green roofs are an integral and beautiful component of any sustainable building. A successful green roof installation requires expertise in all components from conception to installation, to maintenance. At Vegetal i.D. we have expertise in all stages of green roof creation. Our talented experts will perform a technical study of your buildings specific situation (climate, elevation, building type, roof location) in order develop the ideal design for your specific situation. With 20 years of knowledge in green roofing, Vegetal i.D. 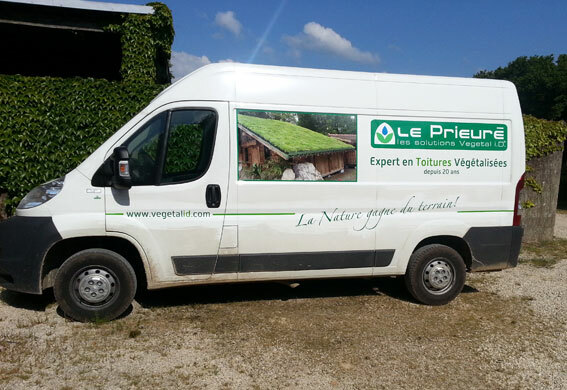 has the practical experience to ensure your green roof is a success. Let us handle the plants. From the design of your green roof project to the installation and maintenance of your system, the Vegetal i.D. teams will assist you through every step of your project.